Create a good base training program that all employees are required to go through when they first start. This will help you understand your employees’ knowledge foundation. From there, more job-specific training can be delved into. Imagine you have an employee who has been with your company or in the industry for years. 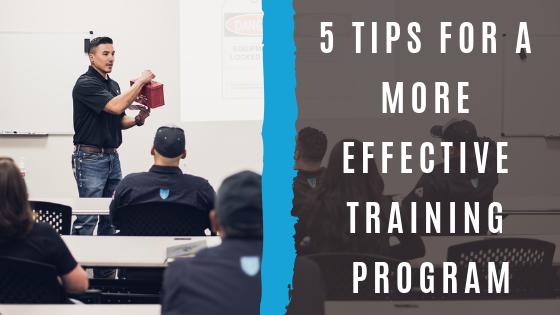 You assume they have the knowledge they need to complete their job safely, however, if they received bad information when they first started, they’ll now hand down that information to the people they train. It’s not their fault, this is the information they’ve been given, but it’s never too late to fix that and give them the right information. Continuing knowledge checks and job-specific training can help lessen the possibility of knowledge gaps. Communication is key to any healthy relationship, whether it’s employer to employee, teacher to student, or even friend to friend. 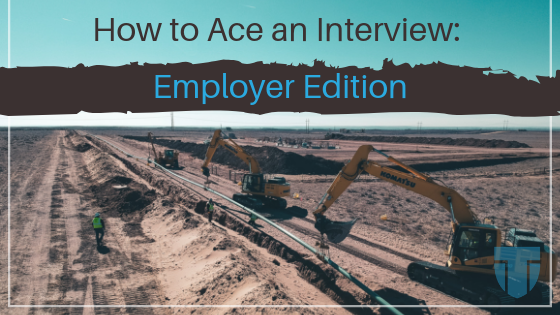 Let your employees know what is expected of them. For instance, let them know what training they need to get done and that they can come to you if they feel they need more training or clarification on anything. If you are teaching a training class of any kind, let your students know what is expected of them in the class. Let them know how they can exceed in the class. Get the communication started with yourself. Tell them where you come from and try to build rapport with your students. Documentation is extremely important when it comes to training – if you can’t prove it happened, then it didn’t happen, right? Always keep copies of rosters, sign in sheets, and/or certificates that show what training was completed, who completed the training, and when it was completed. This creates a precautionary aspect for the company in case anything were to happen. Remember, the whole point of safety training is to help the employees learn how to be safer within their jobs. Make your goal of the training to see someone have that “light-bulb” moment within themselves. Allow them to ask questions and get as much out of the class as they can. Give the students your best and always except feedback. Always take any criticism the students have and break it down to see if it’s something you can truly work on to make the experience better for the next class. The most important part of effective training is PASSION! If you aren’t having a good time as a teacher, your students won’t either! Keep the class fun but beneficial. Typically, extra job training isn’t the most fun assignment to complete, but we can at least make it a valuable and enjoyable experience, leaving them actually wanting to learn more! What other components do you think are essential for an effective training program? 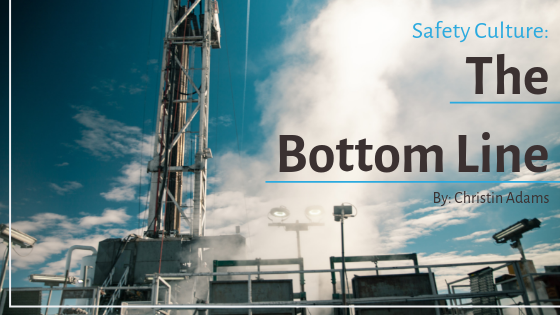 When we hear the phrase bottom-line, in business, we generally think in terms of dollars. When your business is safety, however, there is something more valuable at stake. Every day, we all go to work, or our friends and families do. Our children ride school buses. We are a society in motion. We rely on first responders in crisis and first aid when minutes matter. We also depend on our dollars to support those services and skills because human life is valuable and that is money well spent. With just over 5,000 national workplace fatalities in 2017, a number that has been steadily climbing each year for the past five years, we understand the great financial cost inherent in each of these tragedies. The U.S. Department of Labor estimates that in total, employers are spending $1 billion each week on worker’s compensation costs. These numbers are important for businesses, but their employee’s well-being is more important. By focusing on employee safety, direct and indirect costs for businesses and their insurers are greatly reduced. The key to an impactful safety culture is relationships. So how do we get an organization to become safer? There are plenty of quantifiable means and they are all used on a daily basis: topical safety meetings, focused training classes, audits, stop work measures, etc. These are all essential to spreading awareness and building the correct habits; but talk to just about anyone that wears a hard hat for a living, and they will tell you they don’t want to sit through a class or do extra paperwork – they just want to get to work. The key to an impactful safety culture is relationships. In fact, value is created through relationships in the work place. In an organization with a healthy safety culture, everyone, from the entry level laborers all the way to the executive leadership team, must buy-in and take responsibility for each other’s safety. And when any part of the organization does not, the rest suffer. If you have a great team on the front lines of your business, a team that looks out for each other, creates and reviews thorough job safety assessments at the start of each shift, documents near misses, and practices stop work authority when appropriate you’re half way there. You also need support from upper management in the form of new hire training procedures and investment in proper safety equipment and protective gear. Without the relationship between these, at some point the inevitable will happen. Someone will get hurt. Safety is the result of a thriving company culture. Companies must not forget that safety is about people. Safety is the result of a thriving company culture. Building a strong safety culture starts from the top and works its way to the bottom. Although, if we flip that thought process and give employees the power and initiative to create a safety culture, they are still going to follow the leadership displayed to them. Understand your employees and work alongside them, not above them. How does a truly great safety culture impact a company’s bottom line? Throughout the past few months, ignition source safety has become an increasingly important subject. Being aware of the safe practices for ignition sources can help save the lives of you and others around you. So what exactly does it mean to be aware of your ignition sources and the aspects required to stay safe around them? Let’s take a look! Make sure the equipment you are using is intrinsically safe and explosion proof. Intrinsically safe pieces of electrical equipment will limit the electrical and thermal energy to a level below that required to ignite a specific hazardous mixture. If equipment is rated as explosion proof, it can be used to prevent high voltage and amperage equipment from producing a source of ignition. In these pieces, a heavy enclosure surrounds the spark producing component, so that in the event of an explosion, it is contained. The kind of hand tools that are used is also extremely important. Tools should be non-sparking, or also sometimes referred to as “spark-reduced” or “spark-resistant”. These tools are made of non-ferrous materials, or metals that do not contain iron and are not magnetic. Examples of non-ferrous metals are aluminum, aluminum alloys, and copper. These can be used where flammable gases, highly volatile liquids, and other explosive substances are present to help decrease the possibility of ignitions or explosions. Lastly, ensure the tanks and hoses that are being used are grounded and bonded for fluid transfers. This prevents the opportunity of flammable liquids from being ignited from static electricity. When it comes to ignition source safety, lockout and tagout (LOTO) are great additional precautions that can help prevent mishaps. Before even starting work, ensure that your lines are locked and tagged by placing a lockout device and a tagout device on the line, ensuring it cannot be operated until the devices are removed. To take complete defenses, also double check that your lines are isolated and ventilated before starting work. Your companies LOTO policy and procedures should be made available to you and also trained on at least once a year. Going beyond the equipment, paying attention to your surrounding environment is just as important. First, be able to identify where your muster area, or emergency assembly point, is located. Weather is constantly changing, especially here in Colorado, so take note of the continuous change in the direction of the wind. In the case of needed evacuation, ALWAYS evacuate upwind or crosswind. Taking all of these provisions into account, along with ensuring your 4-gas monitors are on, calibrated, bump-tested, and in the breathing zone, you can help prevent any hazards or explosions due to overlooked ignition sources. What other safe practices does your team have for ignition source safety? A job safety analysis (JSA) is a tool we use to identify hazards and eliminate them before they occur. 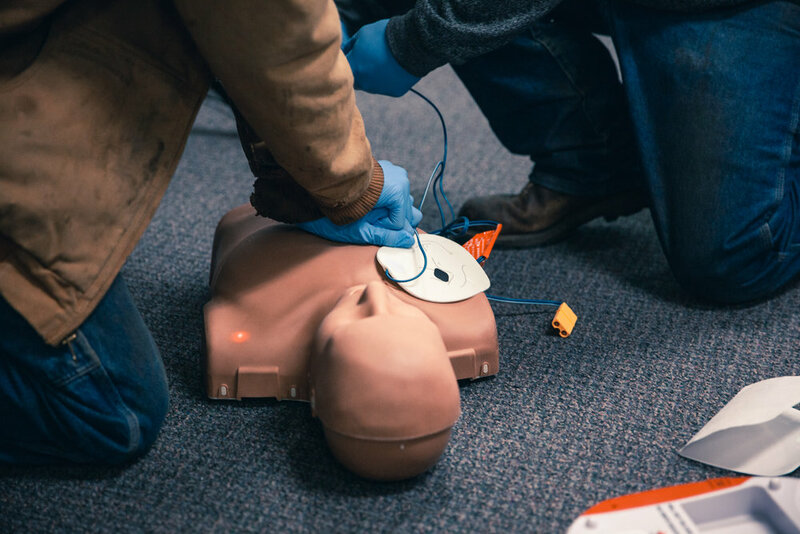 It’s a tool that can save a coworker’s life and even your own life. A great JSA can impress a client and result in fewer injuries and illnesses. Identifying the true hazards in a job may be the most difficult part. People tend to become content with the space they work in. When we do an action a hundred times and never get hurt, it gives us a false sense of safeness. We stop thinking about these actions as hazards and start putting them on the backburner when it comes to safety. "Don't get complacent - get the conversation started. Get people involved." Look at the perspective as if it was “Bring your kids to work day”. What do you see as a danger for your kids? What would you not let them touch or even go close to? Everything you just thought of are hazards and even though you might not think of some of these things as dangers to yourself, they still are. So then how do we find all of real and true hazards? Don’t get complacent - get the conversation started. Get people involved. Everyone should be a part of the JSA process. A new employee may see a hazard others have become accustomed to and more experienced workers can use their knowledge of past incidents they have run into. A great JSA will have all of the steps thoroughly explained out. From the largest to the smallest steps, they all should be listed. Some actions often get learned into our muscle memory from doing them so often and we forget that these are their own individual steps. As we start to think about every individual step, we realize that there is a lot to go through for such a simple task. Some of these steps might seem tedious, but it is simply because in our minds this is common knowledge. In our minds, of course the peanut butter should be spread using a butter knife. But to someone who is completely new to the concept, this might be a tool they wouldn’t think to use. Now let’s apply this same “step-by-step” concept to something more work related, such as changing a light bulb properly. Does everyone know all of the true steps to this task? Do they know to ensure the power is turned off, locked out, and tagged out? Do they know to get the correct ladder for the job, checking that it will sustain the weight being held and will reach the appropriate height? Do they know to ensure the ladder is on stable ground and that they need to keep 3 points of contact at all times while on the ladder? All of these steps need to be written for there to be no doubt in this employee’s mind that they are doing everything correctly to complete this task. Once the hazards are identified, it must be discussed on how to control/eliminate them. Sometimes we make the mistake of thinking that once the hazard is found, it is automatically fixed. But steps must be taken in order to address the hazard. When addressing a hazard, all three controls must be thought about: engineering, administrative, and personal protective equipment (PPE). Engineering controls are the most effective because they change the physical work environment or machine to better protect the employee. If this step cannot be done, use administrative controls to reduce the worker’s exposure to the hazard through training, planning, and scheduling. PPE should be used as an additional control when the other two forms cannot omit the hazard enough. PPE includes used items such as safety glasses, gloves, face guards, etc. When thinking through how to control the hazards, everyone should be involved in the process. As discussed earlier, new and also more seasoned employees can present interesting points. So get the conversation started and check that everyone feels comfortable stating their opinions and asking questions. A lot goes into creating a JSA, but it is all worth it to see less injuries and illnesses to your team. Hopefully, taking the above tips into account will help to create a strong JSA that will help to both save lives and impress clients. What other tips do you use to write your strongest JSA? 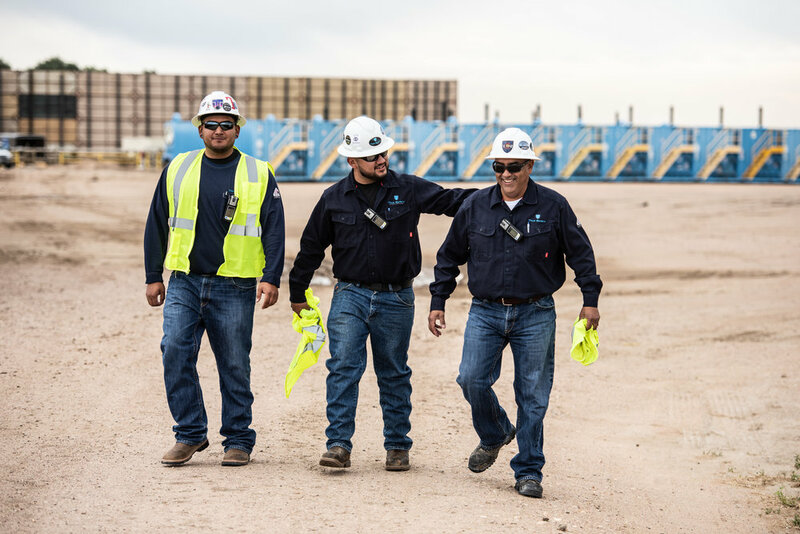 In our last blog, 5 Steps to Building a Safety Culture, we focused on what elements are needed to build a lasting and effective safety culture within a company. It was suggested that the elements of culture tend to have a trickle-down effect, meaning that employees tend to follow their supervisor’s actions. The first main characteristic of focus is the leader’s willingness to work. Not only does a great safety leader know the value of a good work ethic, but they also share the view that they are not above other employees. No matter what title a leader is given, they are willing to do any task within the company to help the group succeed as a whole. These individuals realize that when it comes to safety, there are no titles. Instead, there is just one unified mission: to make it home safely. A great safety leader knows how to communicate effectively among different types of people. Taking the personalities of different employees into account is extremely important. Using this information to gauge how the leader communicates with their group can make a huge difference in how the information is received. Admirable safety leaders are sincere safety leaders. They have a nice and considerate way about them that makes them easy to respect and get along with. These leaders truthfully care about the people they work with. Their goal is not only to ensure all of their employees get home safely day after day, but also to constantly be sharing their knowledge to help their employees grow into impressive safety leaders themselves. In doing so, these leaders are making an investment in their employees in order to not only help them succeed, but to also help the group and company as a whole flourish. Becoming a successful safety leader is hard work and takes practice. They have to be willing to work hard, able to communicate effectively, and show their sincerity through the knowledge they share. Which characteristics on our list would you agree with? Which would you change or add? We would love to hear your opinions! Comment below! Creating a culture within companies is growing in importance to all industries. Safety culture is no different. When it comes to creating a successful safety culture, confirming that each of these components just stated are present is extremely important. Now let’s break each step down individually. Step one to developing any relationship is to build trust between the parties. Employees should feel that they can go to their supervisor if an incident occurs or if they see something that may be a safety hazard. Encouraging them to inform a supervisor in either of these cases is a vital part of having a successful safety culture. For instance, if the employees do not feel comfortable reporting a near miss, this mishap may be repeated in the future and turn into a more serious occurrence later on. "...world-class teams are dedicated to continuous learning." Training provides employees with safety tools and resources. These resources are just as important as any of the other tools used to complete a job. They enable employees to correctly identify a potential safety hazard and know what the next step in preventing further danger is. When training is lacking from a company, it is more likely problems will arise. Remember, world-class teams are dedicated to continuous learning. It is important that employees know how to report a safety issue and that it will be addressed appropriately. Make sure the channels of communication for reporting a problem is completely clear to employees; they should know exactly who they are to inform about a concern. After the concern is expressed, the employee should feel confident that it will be handled in a positive and complete manner, making sure to investigate the entire issue. Making the workplace an open area for sharing ideas about safety should also be practiced. Culture is something that engulfs the totality of a company and, therefore, is a commitment that should be taken on by the entire team. The elements of culture tend to have a trickle-down effect. This means that employees will gauge their goals and how they handle situations at work on how their supervisors do. If an employee’s supervisor fails to correct a reported hazard, it is likely that the employee will not be concerned with reporting hazards anymore because no action is taken to resolve the issue. Creating a true and complete safety culture means going beyond the programs and policies with meaningful actions. Keeping safety at the forefront of goals set for a company is extremely important. As previously stated, it takes an entire company to successfully attain these goals. Therefore, when these objectives are reached, it is important to celebrate the company and all of the employees within it. Acknowledging what the company has done and setting higher sites for the future can help to ensure that the company will continue succeeding and gaining triumphs that previously seemed difficult to obtain. These 5 steps are simple, but necessary to gaining a complete and true safety culture within a company. Following them will ensure all of the correct elements are in place for letting a company go beyond their goals and keeping their employees safe. What techniques are you using to create a safety culture within your company? Comment below!